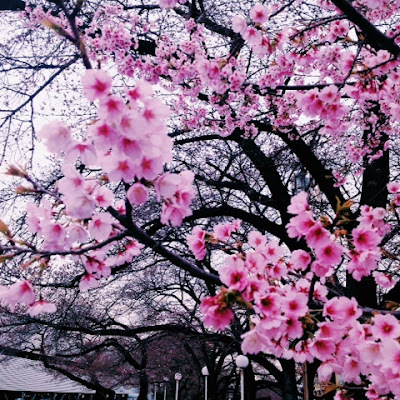 Viewing the plum, almond, and cherry blossoms in Japan is a social, aesthetic, artistic, and philosophical activity. 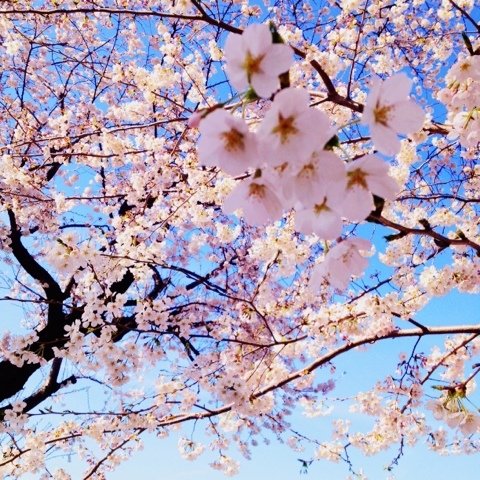 Hanami (花見) means ‘flower viewing’, and is a highly anticipated and enjoyed activity here. 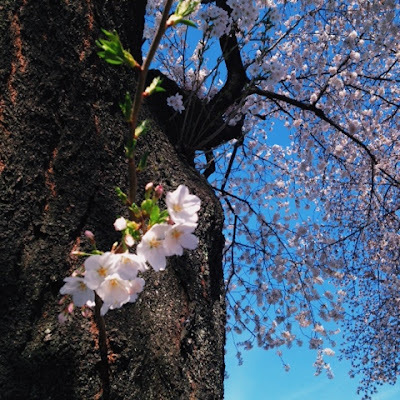 Photographing the blossoms is a very serene way to enjoy the warming weather. Of course, the blossoms mark the beginning of Spring. 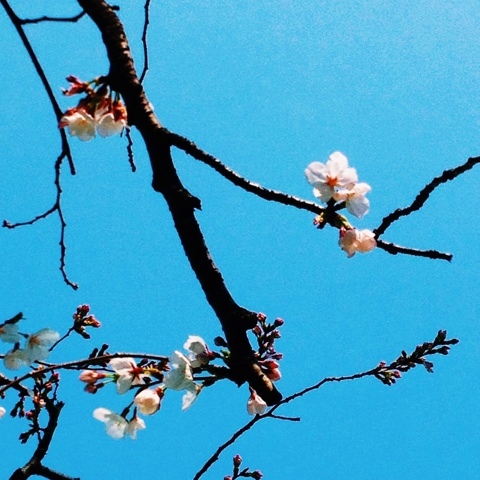 In the post, Plum Blossom, I started this photographic inquiry and began to bid farewell to the Winter. April is the beginning of the Japanese school year, as well as the time during which companies typically reorganize and reassign employees. People tend to relocate and renovate their homes at this time, as well. Renewal is carried by the wind along with the pollen and refreshed demeanor of the people. 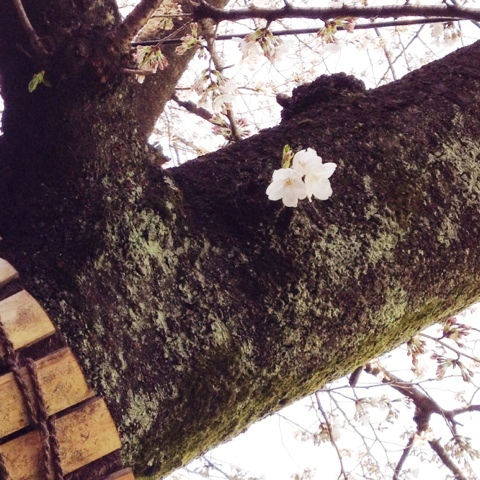 Spring is a time for noticing. Whether it’s the change of temperature, smell, mood, or indeed, the apparent return to life of the trees. I was lucky to visit a few parks this year and continue my inquiry into visual literacy through photography. Needless to say, the cherry blossoms are extremely photogenic. Being virtually impossible to take a ‘bad’ picture of, I challenged myself to capture images with stories, conflict, and emotion. Exploring the photo editing suite from Visual Supply Company was another way to enhance the drama in the photos. For more of my work, please visit my VSCO Grid or Instagram Profile. 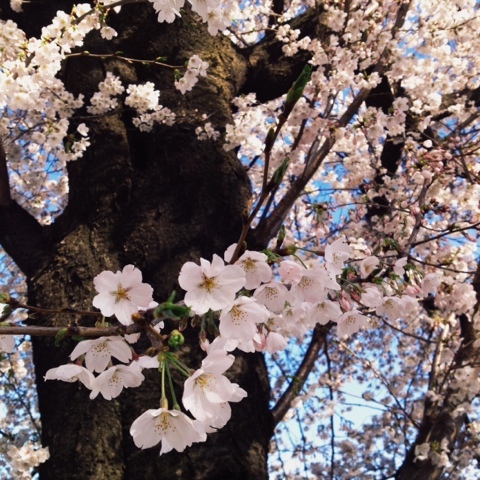 Thankfully, the overriding feeling of the blossoms is joy. 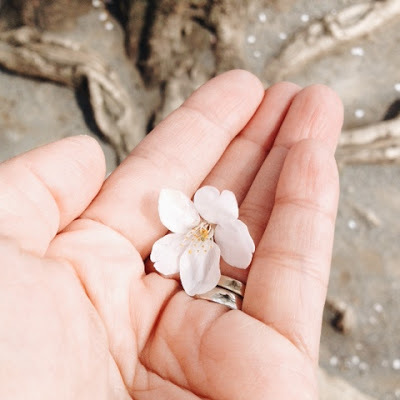 My wife, Yuka, a much more accomplished photographer than me, shared her work in the post, Special Spring Gift, including the heartwarming photo below of a fallen cherry blossom our son gave to her.